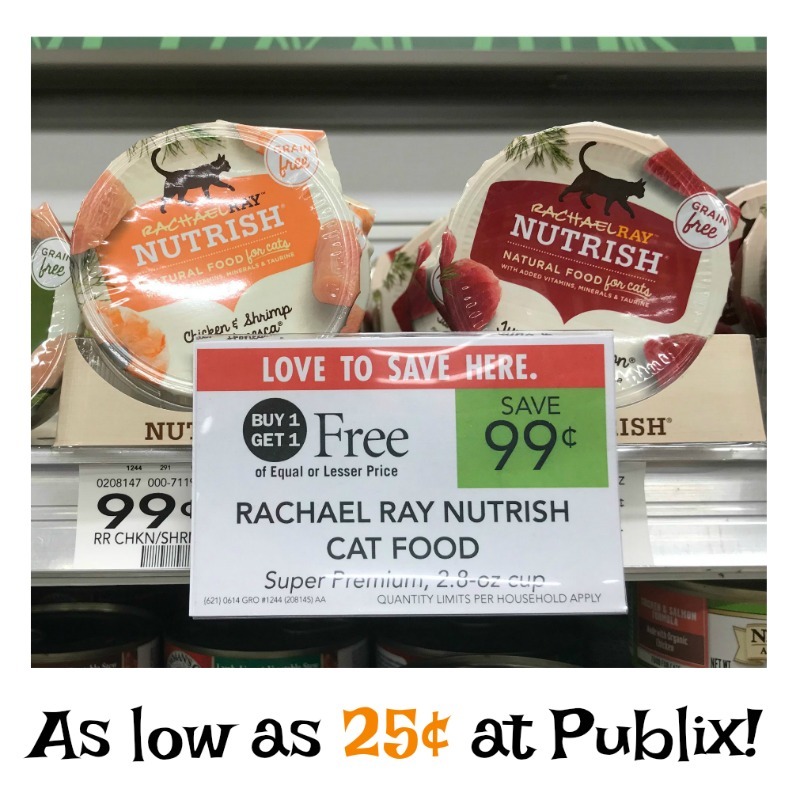 This week you can grab Rachael Ray Nutrish Wet Cat Food at a very nice price. With the BOGO sale and the coupon combo you will get the containers of wet cat food for as little as 25¢ each. Grab your coupons if this is your cat’s food of choice. Previous Post: « Still Time To Help Those In Need With Your O, That’s Good! Product Purchase – O, That’s Good! Season of Giving Campaign Runs Through 12/29!